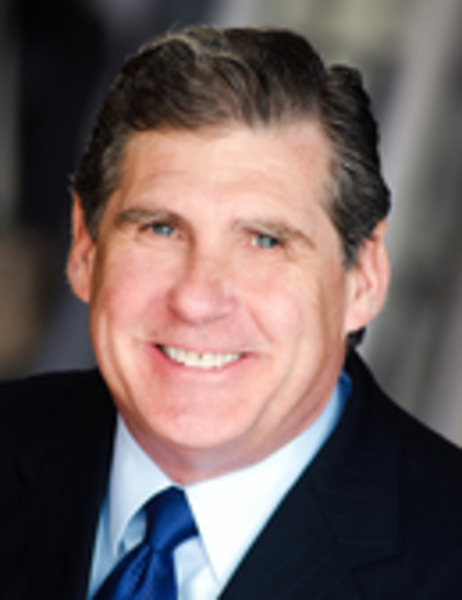 Award-winning speaker and best-selling co-author of the legendary Guerrilla Selling series. Competing in today's hyper-competitive market requires unconventional weapons and tactics. Orvel Ray travels worldwide to share his unconventional wisdom at sales meetings and conventions, large and small. From a rousing general-session keynote to an intensive, multi-day bootcamp, he will inspire, excite and arm your people with hundreds of simple, low-cost or no-cost sales and marketing ideas that drive revenue and earn big profits. Unconventional, engaging and funny, he has wowed audiences in more than 1,000 cities and 47 countries, on every continent except Antarctica. He's been voted one of the world's Top 5 Sales and Marketing Speakers for the past five years straight. See why companies like IBM, Marriott, United Airlines, Apple, Microsoft, and many, many others, trust him to train and coach their salespeople. He's a co-author of six books in the legendary Guerrilla Marketing series, with more than 22 million books sold worldwide in 62 languages, including Guerrilla Selling, Guerrilla Trade Show Selling, Guerrilla TeleSelling, Guerrilla Negotiating, Guerrilla Retailing and Guerrilla Marketing Remix. His work has been quoted in INC., The Wall Street Journal, Fast Company, and dozens of trade journals in a dozen languages. Famous for his deep customization, every program is prepared specifically to fit your business and the challenges faced by your team. Orvel Ray uses a variety of research methods, including pre-seminar interviews with your key people, mystery-shopping your office, and even spying on your competitors. He will inspire and motivate any audience, but more importantly, he will arm them with practical ideas that they can use right now to win in today's hyper-competitive environment. He was honored as "Speaker of the Year" in 2001 by Meeting Professionals International. He holds the highest level of certification recognized world-wide by the speaking industry, the Certified Speaking Professional. Convenient, Excitement, and Commitment are among the 7 things that set guerrillas apart. Develop these characteristics and blow the competition away. Our most popular keynote. If you cut your price by 10% you have to DOUBLE your unit sales just to break even! What do you say when they ask you to cut your price? What if they really can get it cheaper? This program will show salespeople how to make customer price objections disappear. Drive your competition out of business while selling at HIGHER prices. Includes 25 ways to get your customers to pay more, and much, much more! Confused about how to make LinkedIn, Twitter, FaceBook, YouTube and Google+ work to increase your sales? This 90 minute program demystifies the most popular social networking toolsto attract new business and find new customers. Guerrillas rely on two secret weapons: information and surprise. This program will give you both, plus unconventional weapons and tactics to capture new business. Half-day to multi-day custom seminars, adapted to your specific product and industry. The quality of your negotiating affects every aspect of your live. We don't just negotiate with customers and vendors, but with everyone we meet. Just because they're nice people doesn't mean they have your best interests at heart. How to create a fair advantage in an unfair world. This dynamic program gives you everything you need to know to run a successful retail store, from finding the right location, to hiring and training top-notch sales staff, to merchandising, lighting and security, plus hundreds of low-cost marketing tactics to attract customers and drive sales through the roof. Our newest offering. Salespeople have to cover more accounts and more territory than ever before. This program shows you how to create a "telepresence" by using phone, fax, e-mail, Internet, and more. "In March  we had our first $10 million month since 2008, when the bottom fell out of the market." - Stacy Michelson, Natl. Sales Manager, Purvis Industries. "You were great up there, and you by far exceeded our expectations!" --Tasha Scales, AmeriSpec, Inc.